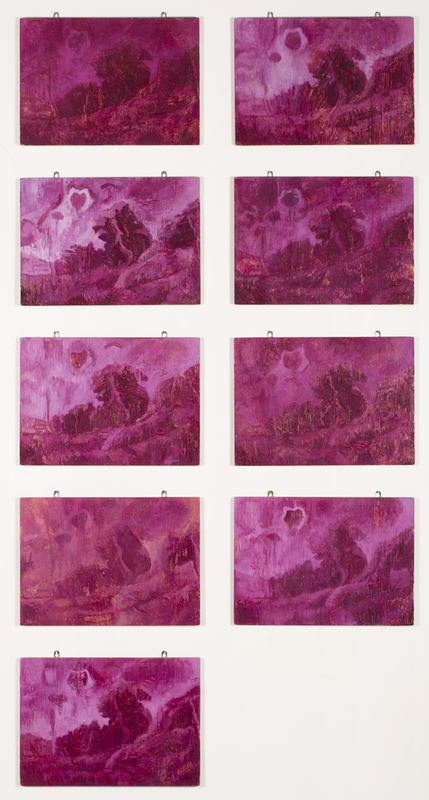 Oil on metal foil on 9 panels, each 29,5 x 41,5 cm, 1992. This is the last of the several works based on the 1988 painting "Atmosfär". It was made, along with "Journal 1", for the 1992 exhibition at Galerie Etienne Ficheroulle in Brussels. "Journal 1" also consists of 9 panels, painted from the same source image.